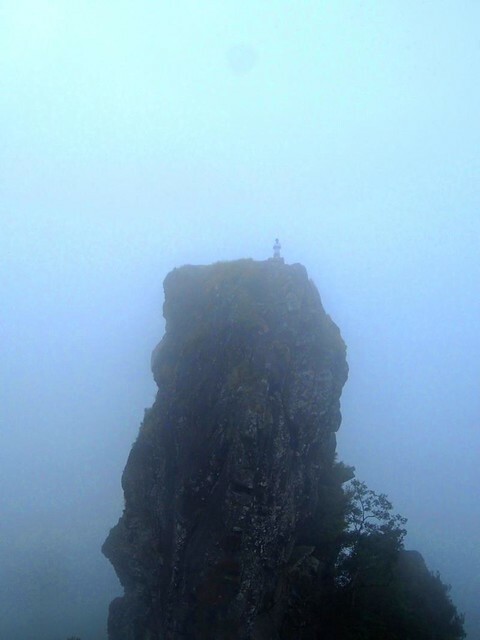 When I first climbed Pico de Loro last year (August 2012), I successfully fulfilled my dream of climbing the famous monolith.Yes, I felt gladness when I reached the top of this vertical rock, but even so, that gladness was not at its fullest. I need not to say why, just look at the picture below. 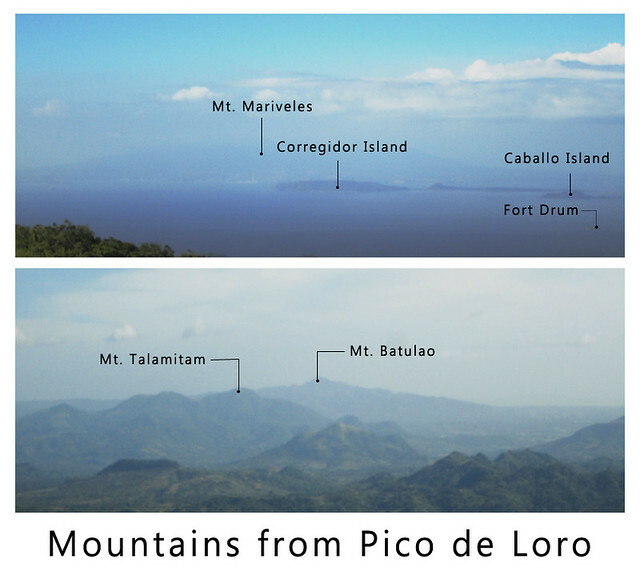 I did not let the year end without me having a second take on Pico de Loro. 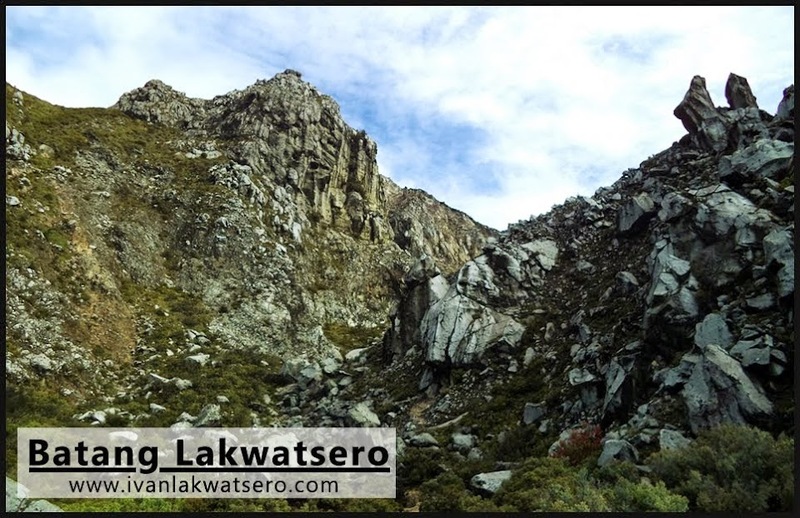 Just few days before Christmas day, I organized a quick redemption climb on this mountain. 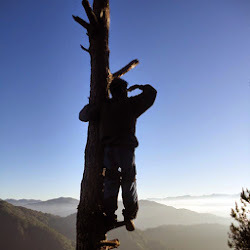 With me was a team of 10, a mix of experienced and starting mountaineers. 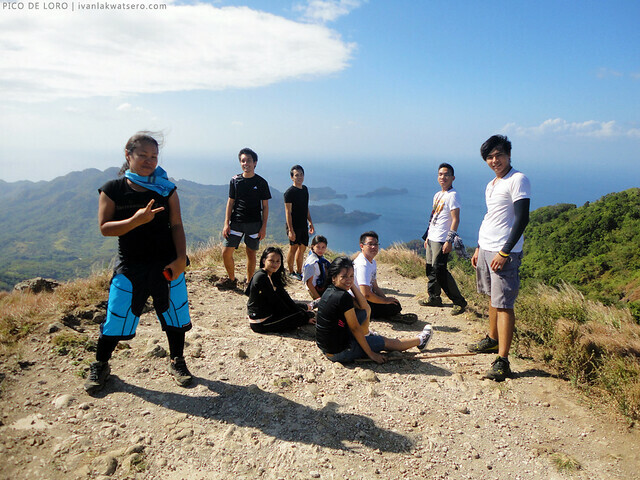 Also, my original hiking buddies (the group who introduced mountaineering to me) joined the climb. Syempre sobra akong natutuwa, it's been almost a year na mula nung huli kaming umakyat ng bundok. Following the same itinerary as before, we reached the jump-off at around 07:30 AM, started the trek at 8AM, then reached the campsite at lunchtime. along our way to the campsite, we met our old friend. 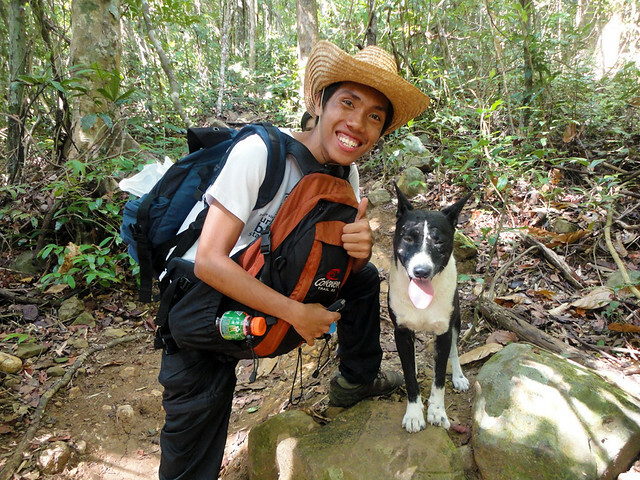 The ever loyal dog guide of Pico de Loro. Very unlikely my first PDL experience, clear blue sky welcomed our team at the campsite area. What a great opportunity for us, of course, to take endless number of snapshots. the Parrot's Beak as viewed from the saddle. just for comparison, Take 1: Parrot's beak succumbed to thick clouds; Take 2: It's a very clear day beybeh! At 01:20 PM, after having our lunch, the whole team except for one (she had enough hiking for the day) ascended to the summit, still the same tiring assault to the summit. Then when we got there, I was so surprised and gladdened by the view I never saw during my first visit. you would still encounter this, PDL's most controversial work of art, on your assault to the summit. medyo shocking talaga yan lalo na sa mga first time aakyat sa Pico de Loro. 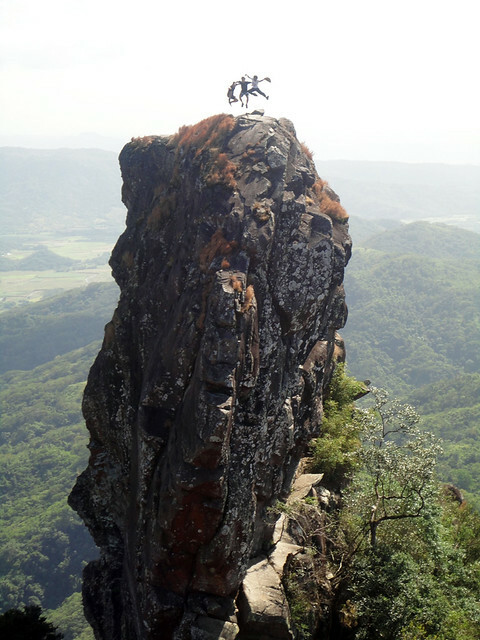 The thrill in climbing Pico de Loro is never complete without having photo ops at the monolith. So we did it. the rope is back at the foot of the monolith. 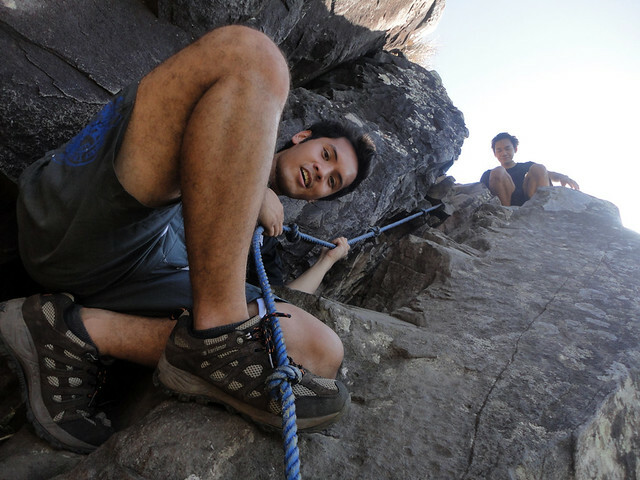 Climbing made easier but still, nakakapanginig pa rin ng tuhod. cloudy and eerie no more! here's what you'll see atop the monolith. 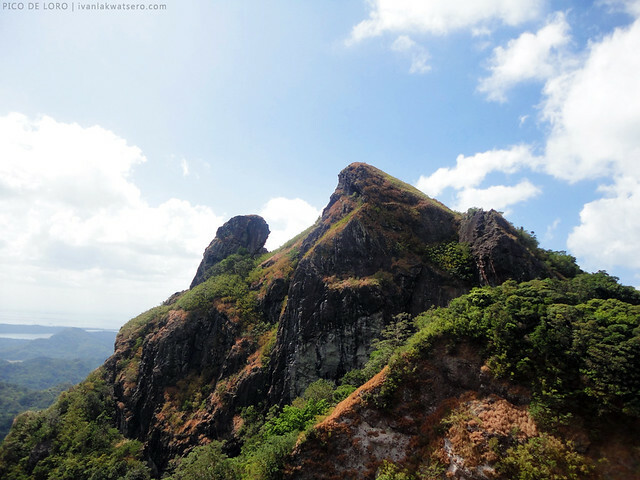 As we finally completed our unfinished business (clear day photo ops at the monolith) here at Pico de Loro, we headed back to DENR. Ok na ako sa Pico de Loro kahit hindi ako bumalik ng isang taon, I might go back here probably for a traverse climb na lang. 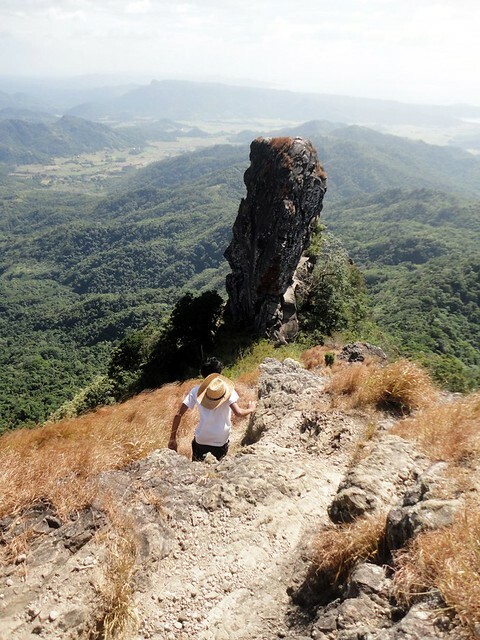 Experiencing Pico de Loro completely on a very clear day is certainly priceless and memorable. Really glad that our redemption climb was a great success, woohoo! Big thanks to everyone who joined this climb. Wooooh! Ang galing ng jump shot! Anu anu po ba mga requirement sa pg akyat sana po my mkabasa at mg reply d2 as soon as possible and ung detailed po sana kasi next week na po ung plano nmn sa pg akyat sa Mt.pico de loro..
Wow. Natakot naman ako sa part na may rope. Nyay! Pero excited hehe akyat kami this weekend malaking grupo din kasama sabit lang ako sana kayanin! WOW! hope na mka akyat din ako together my friends.